After last year´s success in the International Truck of the Year 2012 contest, a TATRA PHOENIX log truck version has been awarded an “Extraordinary Award of the CEO and Jury of Grand Prix Silva Regina” at the SILVA REGINA 2012 exhibit. 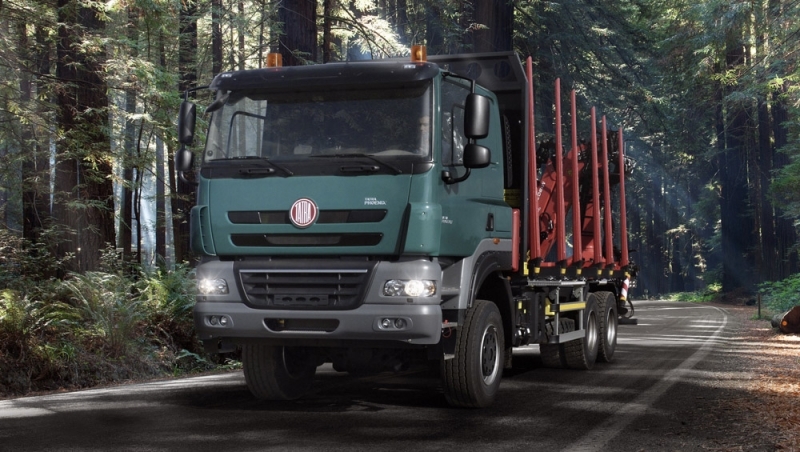 Forestry segment customers can choose from an offer of vehicles made by the TATRA company in cooperation with specialists in this line of business – the Serviscentrum Vysočina s.r.o. company – as well as other partners of the Kopřivnice-based truck company. At the SILVA REGINA exhibit, which ends on April 4, two 6x6 TATRA PHOENIX log trucks are displayed. 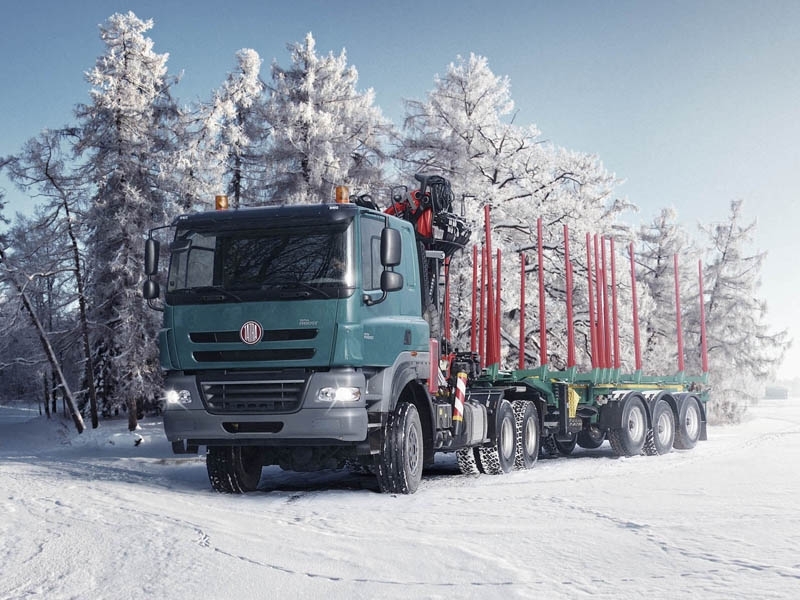 The first one is a three-axle AWD TATRA PHOENIX truck with a wheelbase of 3,900 mm, with a LOGLIFT hydraulic loading unit installed behind the cab, and a telescopic log trailer. The second exhibit is the awarded 6x6 TATRA PHOENIX truck with a wheelbase of 4,500 mm, which is equipped with an EPSILON hydraulic loading unit installed on the vehicle’s rear and with a log trailer. Both the bodies and trailers were made by the UMIKOV company. A total curb weight (including the weight of the driver) of the three-axle chassis is about 10,250 kg (depending on selected configuration and equipment). Its frame height is the lowest one in the log truck category. The vehicle has a great engine brake and a reinforced front axle, which can carry up to 9 tons. A combination of the above and a unique air suspension on all axles makes a TATRA PHOENIX “an agile predator in its territory”.